Not a creature was stirring, not even a mouse... Count down the nights before Christmas with our adorable The Night Before Christmas Pop-Up Advent Calendar. 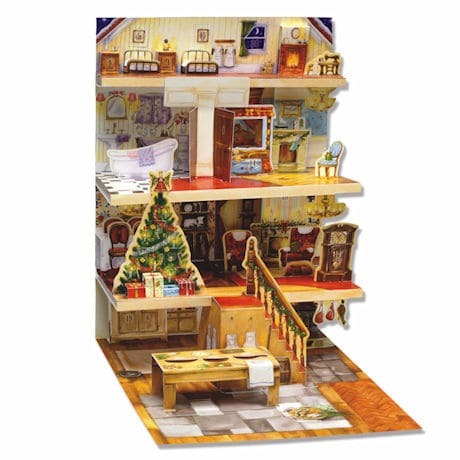 This 3D calendar opens to reveal an elegant Edwardian mansion decorated with greenery, all in the hopes that Saint Nicholas soon will be there. Hidden around the house are twenty-four windows, each concealing a different surprise for every night of Advent. Adults and children alike will delight in the nightly ritual and the merriment of revealing each hidden picture. Build a tradition with your family and extend the joy of Christmas throughout the entire month.